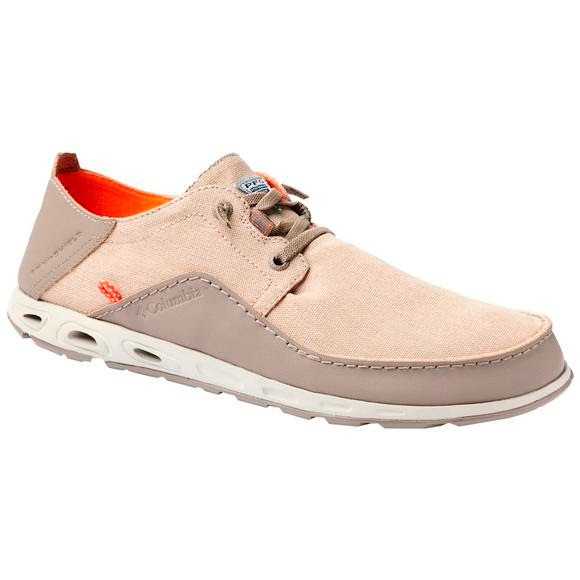 The lace-up version of Columbia's laidback Bahama Vent shoes, these ventilated PFG low tops are specifically designed to facilitate airflow and encourage water evacuation, making them ideal for fishing and other activities around the water. The lace-up version of Columbia&apos;s laidback Bahama Vent shoes, these ventilated PFG low tops are specifically designed to facilitate airflow and encourage water evacuation, making them ideal for fishing and other activities around the water. The Men&apos;s Bahama™ Vent Relaxed PFG Shoes high-traction rubber outsoles are razor siped for superior gripping power on wet surfaces, and the Techlite midsoles are equally supportive and cushioning for lasting all-day comfort.